Cases involving improper exhibition of a weapon or firearm can result in significant penalties. If you have been arrested for a criminal offense involving improper exhibition of a weapon or firearm, you should consult with a Orlando criminal attorney at your earliest convenience to learn about your rights and the defenses that may be available to you. It is illegal to exhibit in a rude, careless, angry, or threatening manner, not in necessary self-defense, any dirk, sword, sword cane, firearm, electric weapon or device, or other weapon in the presence of one or more persons. This offense is a first degree misdemeanor punishable by up to 1 year in the county jail. If you or a relative have been arrested for improper exhibition of a firearm or weapon, you should speak with an Orlando criminal attorney. In many criminal cases, a properly prepared defense by a criminal lawyer will result in either reduced penalties, reduced charges, or a dismissal of the charges. Even in criminal cases where the evidence of guilt is overwhelming, a properly prepared defense and presentation of mitigating circumstances by an Orlando criminal attorney can result in significant decreases in the penalties you receive. 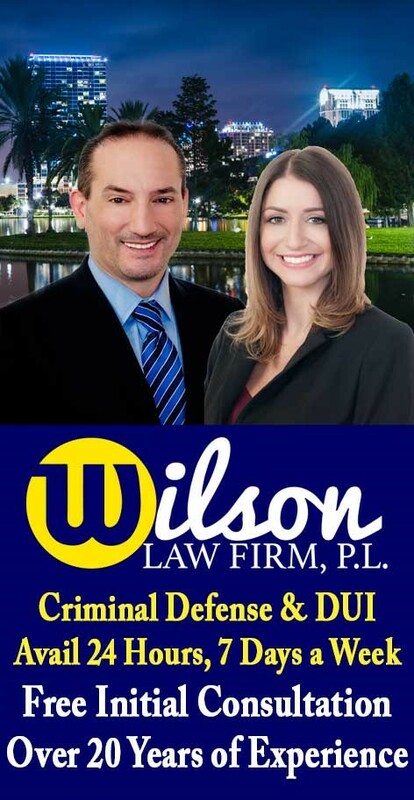 Improper Exhibition of Firearm or Weapon – The Wilson Law Firm provides a free initial consultation with an experienced Orlando criminal attorney. Call us today to speak with an Orange County criminal lawyer about the legal process and your rights.